An Android-powered webcam designed to hook up to your HDTV isn’t exactly an everyday occurrence, but it’s CES week and Samsung is looking to stand out with the new inTouch. Running 2.3 Gingerbread in a webcam designed to hook up via HDMI to your TV and via WiFi to your home network, the inTouch allows you to hold 720p HD href=”http://skype.com/” rel=”homepage” target=”_blank” title=”Skype”>Skype video calls as well as watch YouTube videos from your lounge. There’s also support for web browsing, photo and video playback and – if you plug your digital camera or a memory stick into the USB port on the back – you can view footage recorded elsewhere too. The camera itself can be used for taking 3-megapixel stills. 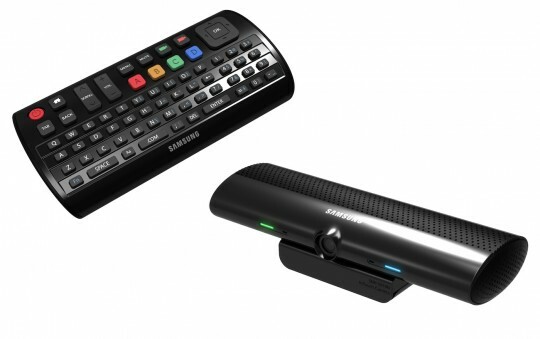 Samsung includes a QWERTY remote control for navigating your contacts list, searching for YouTube videos or browsing the web, and there are integrated microphones and speakers. The Samsung inTouch will drop in March, priced at $199.99.